While we don’t see much of this in the UK, watching TV broadcast on mobile devices using a dongle of some sort is quite popular around the world. Elgato want to bring you the same with their Eye TV mobile, and while it already exists in versions for Android and the standard 30 pin iPhone/iPad connector, they have just announced one for the lightning connector varieties. 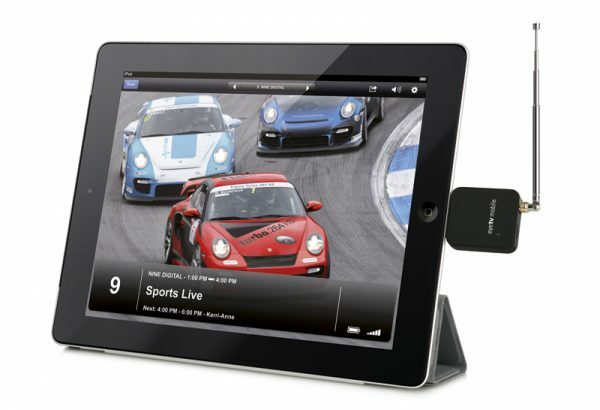 It connects directly to your device, and receives digital TV via the supplied miniature telescopic antenna. This means that it doesn’t need internet, and hence no data plans. Users can watch, pause and rewind live TV. It comes with a few antenna options, to allow you to get the best possible reception, both at home and on th emove. Retailing at £89.95, it is available for pre-order and will be shipped from the 5th of August. The order can be placed through their online shop at www.elgato.com. In addition to the hardware, the Eye TV Mobile app is available free on the App Store and offers a full range of TV viewing features such as pause, rewind, record, EPG, etc.